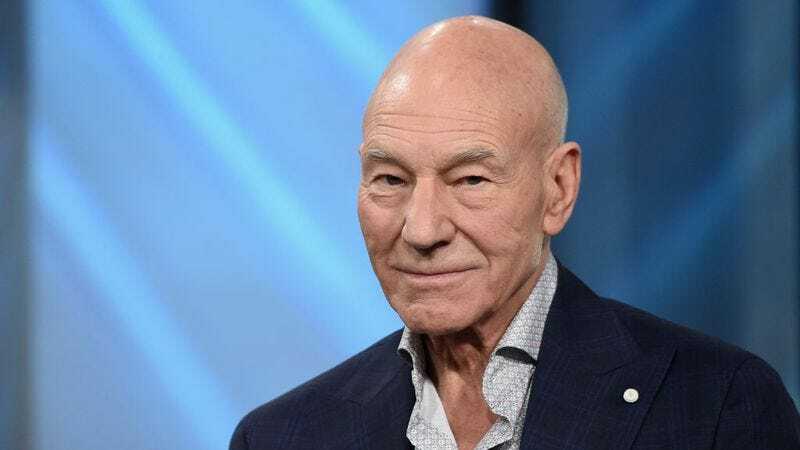 Even though he’s not an American citizen, Sir Patrick Stewart has still been losing sleep over the most recent presidential election. He said as much in his appearance on The View yesterday, where he described getting “the worst sleep I’ve had in years and years and years” while in Washington, DC recently. He was in DC visiting some unnamed friends “who are kind of Washington insiders,” asking them what can be done about the crop of Bible-thumping, race-baiting incompetents currently occupying the White House. Their answer? Become an American citizen already, Patrick. In the interview, Stewart says, “I am now applying for citizenship because I want to be an American, too. Because all of my friends in Washington said there is one thing you can do: Fight, fight. Oppose, oppose. But I can’t do it because I’m not a citizen.” Now, becoming an American citizen can take years—decades, even—depending on your individual circumstances. Stewart has lived in Brooklyn (Park Slope, to be precise) since 2012, and married an American, singer Sunny Ozell, in 2013; both of these things can help expedite the citizenship process, not to mention the whole “rich and famous” aspect.